Gorgeous eggplants at the Hanover Farms 24-hour vegetable stand, in Mount Tremper, New York. Are you scared of eggplants? A lot of my friends are. Fear of the unknown can be mesmerizing. If you didn’t grow up in an Italian or Middle Eastern household, you probably weren’t witness to the peeling, salting, weighting, dredging, frying, and tinkering that are all part of traditional eggplant preparation. Yet you still might have known that a slice of eggplant will soak up as much oil as you let it. That makes people uncomfortable, too. And the fact that eggplants are so beautiful makes them still more intimidating. Who wants to cut into perfect, shiny, black skin? 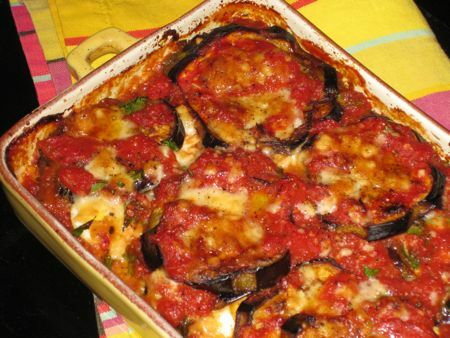 One of the most famous Italian eggplant dishes, eggplant parmigiano, originally from Naples but now made all over the world, is truly complicated, with all its breading, egging, frying, layering of cheeses, and baking. It is, however, exceptionally delicious and, when done to perfection, extremely fattening. What I offer you today is not an eggplant parmigiano, but a completely different thing. It’s much easier, much less bloating, yet it’s in no way a compromise, and best of all it’s fear-free eggplant cooking. You bake the eggplant, so you don’t have to set up bowls of flour, egg, and breadcrumbs and a big pan full of scary boiling oil and then lay paper towels all over your kitchen to soak up the hot grease. You don’t even have to cook a tomato sauce. You stir together a simple pomodoro crudo. Caciocavallo cheese replaces mozzarella in this gratin. Actually caciocavallo is a kind of mozzarella, just salted and aged and so firmer and tangier. 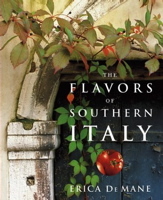 The beauty is that its stronger flavor allows you to use less cheese but still produce a big effect. My favorite caciocavallo is Ragusano, a raw cow’s milk DOC cheese from in and around Ragusa, Sicily. 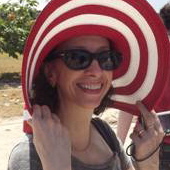 Ragusano has an unusual large brick shape when whole, and a reddish rind. The kind I find at Citarella is semi-hard, so it’s easier to slice or crumble than to grate. It’s less salty and strident than most other caciocavallos I’ve found in this country, and definitely more nuanced than provolone, another mozzarella-type aged cheese and something I wouldn’t suggest for this recipe since it would overpower every other flavor. The final touch is a layer of hard-boiled egg slices and a hit of fresh sage, an idea I lifted from my mother’s eggplant parmigiano. The eggs and sage add amazing richness, and they seem to warm and temper the sharp edges of the tomatoes and the cheese, nudging the dish, made with all summer vegetables, into the realm of early fall. Eggplant gratin made using the eggplants in the top photograph. Note: Filetti di Pomodoro is what Italians call fresh tomatoes that have been skinned, seeded, and cut into thin strips or dice. They’re often used as a base for a sauce. To make the sauce, place the tomatoes in a colander over a bowl, and sprinkle them with a little salt. Let drain for about half an hour. Meanwhile, in a small bowl, mix the drained tomatoes with the olive oil, thyme, garlic, nutmeg, and some black pepper. Give it all a stir, and let it sit, unrefrigerated, while you prepare the eggplant. Cut the tops and tips off the eggplants. Stripe-peel them, so you’re making alternating lengthwise peels and leaving long strips with the skin intact. This way they’ll stay together and cook better than when completely peeled, but you won’t get a big piece of hard peel in your mouth when you bite into them, and they’ll be easier to cut. Cut into ½-inch-thick slices. I don’t bother to salt and weight eggplant, especially when I’m going to bake it. Salting does draw out some water, but it doesn’t, as some believe, remove bitterness. 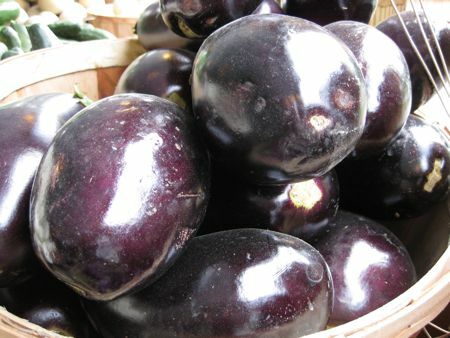 To assure against bitterness, buy firm summer eggplants from a farmers’ market. Preheat the oven to 450 degrees. Coat two baking sheets with olive oil. Lay the eggplant slices out on the baking sheets, brush the top of each slice with olive oil, and then sprinkle them with salt and black pepper. Roast without turning until tender and browned, about 15 minutes. Switch the sheet pans’ place in your oven once during baking so the bottom one doesn’t get too dark. Get out an approximately 12-by-8-inch, fairly shallow baking dish. Put in it a layer of the tomato sauce, then one of the eggplant. Sprinkle on a little Ragusano cheese and then some of the parsley-sage mixture. Spoon on another layer of sauce, then make a layer of egg slices, using all the eggs. Now add another eggplant layer, more Ragusano, and the rest of the parsley-sage mix. Do a top layer of eggplant, spoon on the remaining sauce, and sprinkle with a little more Ragusano. Bake quickly, uncovered, at high heat (keeping the oven at 450) until browned and bubbling, about 20 minutes. Let rest 10 minutes. Serve hot or warm. Oh, this looks amazing! And just in time for me to pick up my CSA bag tonight – which always has two eggplants in it. I can’t wait to make this! What a nice gratin! I love eggplant, skin and all. I never salt mine either, and I remember only one bitter eggplant – it was atypical small white one – I am not even sure it was ripe. Glad you like the recipe. Have fun with it. If you can’t find the Ragusano, another not too salty caciocavallo will be fine. Happy early fall cooking to you. 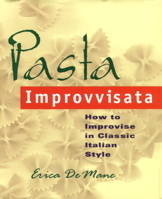 Erica, does PiPalo carry the Ragusano caciocavallo? DiPalo has carried Ragusano, but their stock changes so I’m not sure if they have it now, although I’ll bet they do. They don’t have a website yet, but you can give them a call and they will ship cheeses out, all except their incredible homemade mozzarella, which they consider to perishable to ship. The phone is 212 226-1033. They’re at 200 Grand Street, if you want to stop by. But just a word of warning, they get really busy on weekends, with a line out the door, and they have this old fashioned way of servicing their customers- they really talk to them, so the line moves slowly. Thanks Erica. Next time in the city. We have been to DiPalo’s. It’s a small part of what’s left of old New York. Luckily, we have a shop close by that sells excellent caciocavallo. I have to ask them where it comes from.